Popularly known as the King of Latin Pop or the King of Dance, Enrique Iglesias gained fame as a singer, songwriter, actor, and producer. He started his music career on with the false name Enrique Martinez because he never wanted the fame of his father, Julio Iglesias – who was also a singer at the time to overshadow or advance his career. He secretly started writing songs at the age of 15 and released his records with the help of his father’s publicist. Most of his records were sung in Spanish and a few others in English. Today, Enrique has sold over 137 million albums and has won more than 200 awards from different bodies. Enrique was born into a social elite family well rooted in one way or the other in the media. His surname sure rings a loud bell in the media world. He was born on May 8, 1975, in Madrid Spain and was named Enrique Miguel Iglesias Preysler. He is the third and the last child of Julio Iglesias- a Spanish singer and Isabel Prysler, a Filipina socialite and magazine Journalist. Enrique was raised alongside his two older siblings, Chabeli and Julio Jr. in Spain. Most members of his maternal family are involved in the show business; his aunt Neile Adams is an actress married to American actor, Steve McQueen and their son, his nephew, Chad McQueen is also an actor. The Latin hip-hop king is of a mixed ethnicity. Unfortunately, his parent’s union broke off in 1979. Upon his parent’s separation, Enrique and his siblings were single-handedly raised by their mom for a few years before they relocated to stay with their father and his girlfriend in Miami because their grandfather Dr. Julio Iglesias Puga had been kidnap ealier and the family was scared another attempt might be made on the kids. 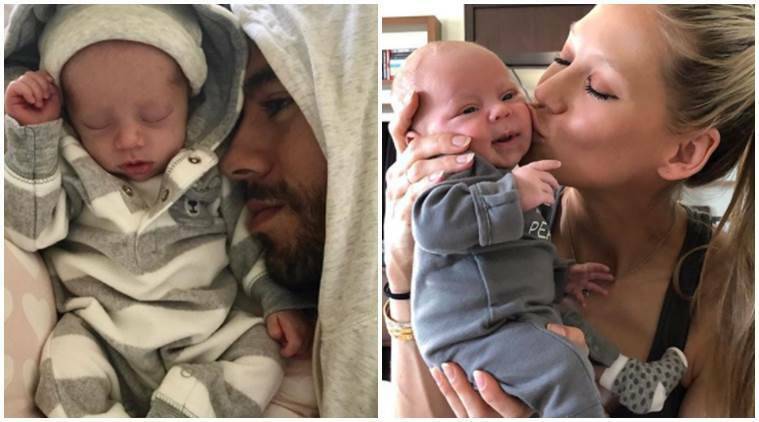 Enrique’s father’s job kept him away from his family and his then girlfriend couldn’t keep up with his kids, so they hired a nanny; Elvira Olivares, who played the mother role in their lives. In a bid to say thank you to her for all those years she cared for them, Enrique Iglesias dedicated his first album to her. The musician attended Gulliver Preparatory school, one of the best schools in history and went to University of Maimi for higher education. At first, the musician shied away from his career and didn’t want his surname to be the basis of his fame, so he borrowed some money from his nanny and recorded a demo cassette tape. He later gave the tape to his father’s former publicist, Fernan Martinez who helped him promote the song under the stage name; Enrique Martinez. Later on, Enrique Iglesias made progressed in his career and signed with Fonovisa Records. 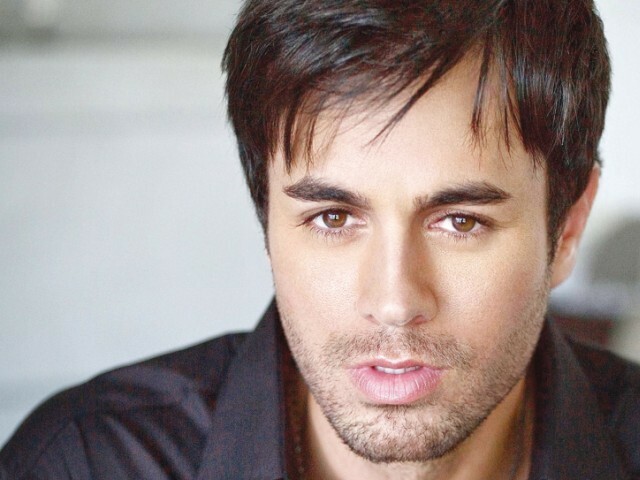 It was at that same period that he took the decision of leaving education to pursue his dreams and traveled out of the city of Maimi to Toronto to record his first album; Enrique Iglesias (1995). The album was a bomb to the Latinos and it sold half a million copies in the first week of its release. Five singles in the album topped the Billboard Latin Charts and the album also bagged him the Grammy Award for Best Latin Pop Performance. Fast forward to 1999, Enrique’s fame had skyrocketed beyond the Latin world, some English Speaking countries had bought over his album even though the songs were sung in Spanish. That same year, Will Smith made him an offer to produce a soundtrack for his movie, Wild Wild West (1999). That soundtrack became a number one hit in the whole of America after it was released. With such a tremendous growth in his career, the musician became a person of interest for other record labels. After much deliberations, he decided to join the Interscope Records. With them, he made an English version of his first album. The album’s single, Be With You made it to the Billboard Hot 100 list. The following year, he released his second English album and titled it Escape. Till date, the album is his number one hit. As a result of the album’s success, Enrique thought it wise to invest in tours and traveled around the globe performing on stages. Enrique’s mom is Isabel Prysler. She made ends meet as a journalist when he was younger but upon her separation from her husband, little or nothing has been heard about her. There is no doubt that she is still in her son’s life but he does not refer to her often. Despite having a father in the entertainment world, Enrique has tried everything within his capacity to grow his career without the help of his dad. Rumors have it that the two are not in a jolly relationship, however, his father has denounced these rumors saying he is in a happy relationship with his son and wishes him the very best in life. Indeed, ever since Enrique started his career, he has grown from height to height. Enrique is nothing close to being gay, he has been in a relationship with a Russian Tennis Star, Anna Kournikova. They were first seen together as a couple in his music video Escape in 2001. The two have dated for over a decade and counting. Despite their social strata, they have managed to keep their affairs under the radar. Recently the two welcomed a set of twins; a son- Nicholas and a daughter, Lucy. Sometime last year, there were speculations that the two lovers had walked down the aisle after Anna was seen wearing a diamond ring and an eternity band on her wedding finger. However, in an interview, Enrique told the public that despite the fact that they were happy with what they shared, they don’t have immediate plans of tying the knots.